The opinions expressed are the views of the author and are not necessarily the views of MarylandReporter.com or its staff. Recently, two campaigns have been launched to jumpstart Maryland’s efforts to combat climate change, reduce harmful air pollution and establish Maryland as a national leader in clean, renewable energy. These campaigns share a common goal – a 100% clean energy future. The rationale is clear. Using dirty energy from fossil fuels contributes to climate change, hinders our economy and harms the health of Marylanders – especially vulnerable populations such as the elderly, children, low-income communities, and communities of color. So how do we transform our energy sector away from harmful fossil fuels and toward a clean energy economy? The Maryland League of Conservation Voters, along with many public health, labor, business, and faith leaders, supports doubling our state’s Renewable Portfolio Standard (RPS) to 50% by 2030 to meet this challenge. Here’s how the RPS works: Utilities must buy a certain percentage of renewable electricity each year, as defined by the statute. In Maryland, we’ve already seen that our RPS has driven new solar and wind electricity to come online. A 2017 study by Lawrence Berkeley National Laboratory found that renewable portfolio standards drove 70-90% of renewable energy installations in the mid-Atlantic, including Maryland. Perhaps the most important thing about renewable portfolio standards is that they work. Twenty-nine states and Washington, D.C. already use an RPS to drive their electricity policy towards renewable sources. Clean energy from wind and solar beats dirty energy from coal-burning power plants in my book for three main reasons: climate change, public health, and our economy. Maryland is particularly vulnerable to climate change impacts for several reasons. Sea-level rise threatens low-lying communities on or near the Chesapeake Bay. More frequent extreme weather events increase the risk of flood damage and erosion. And dangerous high temperatures will mean more heat exhaustion and higher energy demand during summer months – especially in our urban areas. Regarding public health, air pollution from fossil fuels causes direct health impacts like asthma and over time, it can lead to respiratory disease, heart disease, or even cancer. A 2013 study from MIT concluded that Maryland holds the highest rate of deaths from emissions pollution in the United States – an estimated 113 deaths per year. Marylanders are dying from air pollution. Data from the Maryland Department of Health shows that air pollution disproportionately harms low-income communities and communities of color. The good news is that we can transition to safer, cleaner sources of electricity and it will help Maryland’s economy. We can position our state as a renewable energy industry leader now, making it attractive for businesses to invest in Maryland’s workers and its future. We can develop a vibrant new workforce to manufacture, install, and service wind and solar infrastructure – a workforce that has largely been locked out of oil and gas jobs. 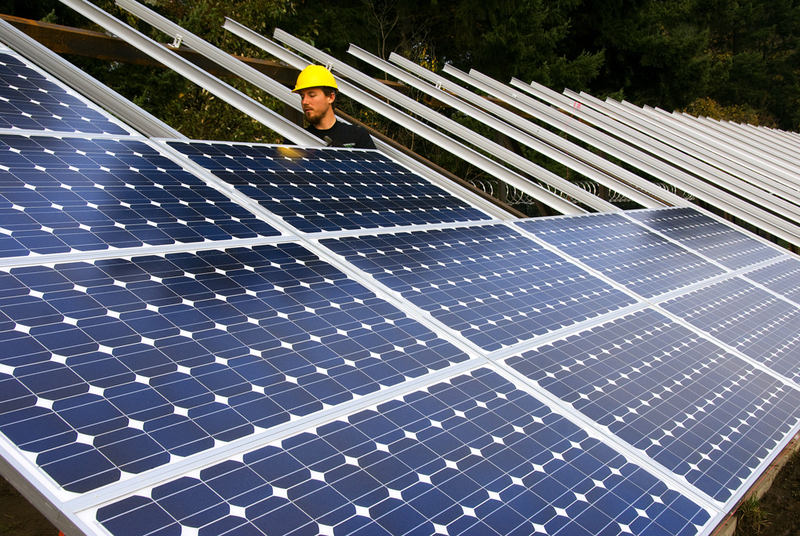 Nationwide, there is huge momentum for renewable energy. Other states are rapidly embracing renewable energy and Maryland could get left behind in the new clean energy economy. The General Assembly just increased our RPS to 25% by 2020 in February but we already know that’s not enough. Committing to get half of our electricity from renewable sources will be an important stepping stone to achieving 100%. I was disappointed to hear several key state lawmakers downplaying expectations for passing legislation this year. There is no question that Maryland needs to act aggressively to embrace renewable energy and address climate concerns. The longer we wait, the harder our effort will be – and the more likely our economy will get left behind as other states drive the clean energy market. All while we continue to rely on burning harmful fossil fuels. When it comes to climate action, Marylanders are looking for strong leadership. I urge Maryland lawmakers to embrace a 100% goal, and work to pass a 50% RPS. Our health and our economy depend on it. Karla Raettig is executive director of the Maryland League of Conservation Voters.